On 14th January the Labour Council in Sheffield announced another year of cuts. For the 12 months from April 2015, the plan is to make £63 million pounds worth of cuts with a further 200 jobs being lost (Source - BBC). As the Council Leader, Councillor Julie Dore was quoted on the BBC website, she believed it was "the toughest budget anyone in this council has had to set in recent history". In this single statement the perverse logic of Labourism is there for all to see. The individuals who make a career as Labour (or any other party) politicians are not forced to do so. However at every turn they tell us they "have to" carry out the diktats of the capitalist system. Whether or not it is "tough" on the politicians' consciences is insignificant. It is working class people who are at the receiving end of the "toughness" and the politicians who choose to implement it. We have not chosen our role as wage slaves, the elected politicians have chosen to play a role in managing our enslavement. In addition to the cuts in the main budget the Council is also using its control of the Housing Revenue Account to dilute services to tenants and force experienced staff out from the Housing Service. The Housing Revenue Account (HRA) is intended to be "ring-fenced" to benefit actual and potential Council tenants. Some of the ways in which Councils have abused that money by siphoning it off for other purposes was reported in the magazine "Inside Housing" in June, 2014 (insidehousing.co.uk). 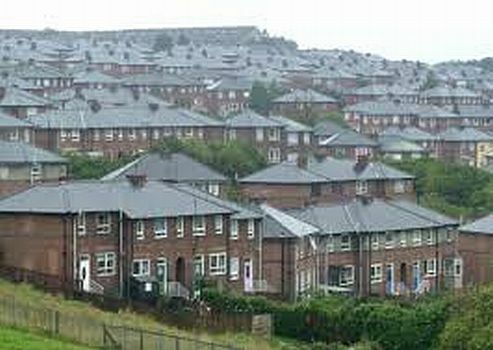 In 2012, Sheffield Council allowed itself to regain direct control of HRA by abolishing Sheffield Homes (SH), the "Arms Length Management Organisation" (ALMO) which had previously managed the Council Housing Service. This was despite the fact that SH had achieved the best possible results from the Audit Commission over a number of inspections. The destruction of the ALMO was justified by a ballot which was widely seen as being rigged. A report in the Sheffield Star on 16th November, 2012 gives further details (thestar.co.uk). This entirely dubious exercise gave the Council immediate control over SH's reserves and also control of the way in which HRA is used and abused. The Housing Service has now been re-jigged to deliver an ongoing programme called Housing+. Central to Housing+ is a sleight of hand to try and hide some of the vicious cuts that the Council has made, and continues to make, to other services. Front-line Housing Officers have been instructed to act as the first point of delivery to tenants and their families for a whole range of services that it would be impossible even for the most skilled, experienced and dedicated worker to have a grasp of. They will be expected to act as first-tier Social Workers, Education Welfare Officers, Family and relationship counsellors, Healthy Living advisors, advisors on substance abuse and a whole range of other services delivered by the Council and "their partners", Police, Health Service, Mental Health providers etc. This squeezing of "a quart into a pint pot" will leave Housing+ Officers with an impossible job where they become the "whipping boy/girl" for the Councillors who have implemented their "tough" cuts year after year. As part of the implementation there will be a significant number of jobs lost – although a concerted effort to blur the figures by changing the boundaries of the service and the count of the workforce makes it impossible to assess a firm figure. Invitations to apply for Voluntary Redundancies were scheduled to have been issued by January but have been delayed as Management and Unions shadow-box around the process. Another big effect on workers in the Housing Service is that many workers, likely to be in hundreds, will be forced to take jobs that will pay less than their current position. For many of the non-management grades this will result in a loss of pay of up to £2,000 per year. The attack on the Housing workers does not stop there. When the Council abolished Sheffield Homes all the workers who were transferred were given the flimsy legal protection of the "Transfer of Undertakings (Protection of Employment) Regulations 2006" (TUPE). The Council is now using the Housing+ exercise to try and remove that limited protection. This would mean that the vast majority of Sheffield Housing workers would be transferred to a different employment contract which will directly result in their conditions being equalised down to mainstream Council contracts. That move will include reductions in increments but mainly the loss of 3 days pay a year as a result of an enforced unpaid Christmas shutdown. Council management and the Trades Unions have held a whole series of so-called Consultations where the workforce has been split into very small units and encouraged to talk about specific problems and issues. They have deliberately held back from any meeting in which the workforce as a whole could start to resist the entire Housing+ project. The Council and their Managers have continued to hoodwink tenants by presenting the programme as being driven by the tenants and in their best interests. That is a blatant falsehood that the Trades Unions have made no effort to distance themselves from. Particularly in the run-up to elections there is a total refusal to expose the lie machine that their Labour Councillor colleagues have developed. In fact, Housing+ makes the Housing Service less accessible and "customer friendly" to tenants. To reduce accommodation costs there will be a continuation of the phasing out of local offices based on estates in favour of "First Point" offices. It will also continue the abandonment of those on the wrong side of the "digital divide". Already registering or re-registering for Sheffield Council Housing can only be done via the Internet. The same applies for bidding for properties. The myth that somehow an annual visit (a grossly undeliverable aim) will remedy the lack of easy physical or even telephone contact is totally unbelievable. Part of the package presented to tenants was that Housing Officers would have instant access to services from the tenant's front-room via hand-held computing. In the pilot area in South East Sheffield the hand-held computing never appeared because the Council budgets would not allow for it. Instead, tenants will meet grossly overworked Housing Officers. Those Officers will also have been stripped of their immediate supervisory/support because one of the cuts in the proposed new structure is the elimination of the tier of Senior Housing Officers. Not content with wrecking both the service to tenants and workers pay and conditions, Councillor Harry Harpham, Cabinet member for Housing and driving force behind the Housing+ abomination, also announced that Council Housing rents will increase by 2.2%. Of course not everyone will suffer. While the Labour Party and the Trades Unions have blocked any united resistance by workers and tenants they still make sure that their friends keep their place on the gravy train. Just a few days before Councillor Harpham had helped push through his cuts budget and rents increase, his Labour Movement chums had appointed him as the Labour candidate to stand in place of David Blunkett. Of course, like Councillor Dore, Harry Harpham has shed his crocodile tears about the cuts that his party has passed year after year. As the Sheffield Star quotes him, he knows " ... how tough people are finding it and have been finding it in the last four years of extreme austerity”. Well, there's that word "tough" again so it must be really heartfelt ... A few years on M.P's salary may help him get over any personal angst about the "tough" cuts that he passed year after year. While these cuts are being carried out the political parties and media are working themselves up into a frenzy to urge us all to turn up and vote in the May-time pantomimes. As always, working class people are being told that they should vote for the Labour Party. There is a whole rag-bag of left parties and factions, both inside and outside the Labour Party who will throw in their own little efforts. These charlatans will peddle the myth of the joys of the polling booth in general. In particular, they will try and sell us the supreme pleasure of electing Labour Councillors and M.P.s to impose their chosen version of "austerity” – meaning simply increasing misery for the working class in a vain effort to maintain profits for the bosses. Workers' experiences in Sheffield, and in all the other areas where Labour carry out the dictates of capital show more and more clearly that voting changes nothing. As the old saying has it; "If voting changed anything, the bosses would have scrapped it years ago".